Vellore, Tamil Nadu: Scientists who have examined rock samples from Vellore say it is unlikely that a meteorite killed a bus driver at a college campus in this Tamil Nadu town, a theory favoured by Chief Minister J Jayalalithaa. The scientists said the pieces of rock handed to them by the Tamil Nadu police were light in weight unlike meteorites, which are (usually) very heavy. 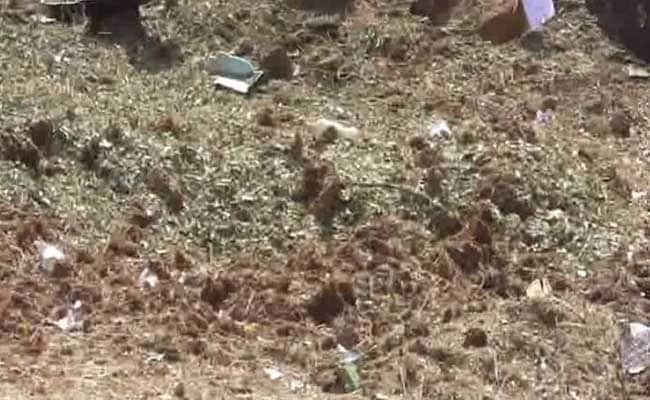 "Preliminary investigation suggests the samples may not be part of a meteorite," Dr. P Sreekumar, director of the Indian Institute of Astrophysics, Bengaluru, told NDTV. He suggested that one of the pieces they analysed could be part of "slag," which is stony waste matter separated from metals during the smelting or refining of ore.
NASA too has said it is unlikely to be a meteorite hit. The New York Times quoted the US space agency as saying that online photographs of the site of the suspected meteorite hit are more consistent with "a land based explosion" than with something from space. On Saturday, an explosion was heard at the Bharathidasan Engineering College located near Natrampalli, which left a crater five-feet-deep in the ground and shattered window panes of buses and the college building. Kamraj, who drove a college bus, was walking past the building at the time of the explosion and suffered serious injuries and died. Scientists from the Bengaluru institute and the Physical Research Laboratory in Ahmedabad, who visited the Vellore college campus found the site "disturbed and very scavenged," said Dr Sreekumar. He said "final confirmatory tests through an isotopic analysis could be carried out in Ahmedabad or Hyderabad" where specialised facilities exist to test samples like a black, scarred stone recovered by the police from the site. Scientists said a meteorite hit can only be confirmed if there were pieces of rock embedded in the body of the dead driver that were recovered and they tested positive for being from a meteorite. "A mishap occurred yesterday when a meteorite fell in the campus of a private engineering college in Vellore district's K Pantharappalli village," Chief Minister Jayalalithaa's office had said on Sunday.